Before joining Simon, Yufeng Huang obtained his PhD in Marketing and MS in Economics at Tilburg University (Netherlands). 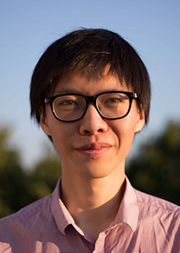 Yufeng Huang's research focuses on the intersection of Quantitative Marketing and Empirical Industrial Organization. His current research projects explore topics such as the evolution of consumer expertise, managerial quality and firm learning, the impact of product design on competition, and the emergence and impact of the e-commerce. The demand for a new product and its optimal release timing may depend on other recently released products. If product adoption is addicting, the release of a product will expand markets for the followers, softening competition. Focusing on the video game industry, we identify the intertemporal effect by exploiting variations in sales of games that are exclusive to a console platform, using a difference-in-difference approach. We find that sales of one game complements future sales of other games, to the extent that product entry can create subsequent market expansion effects. We quantify the impact of entry on other products through substitution, addiction, and satiation using a random coefficient demand model, and find that category-expansion effect can result in a second mover advantage.